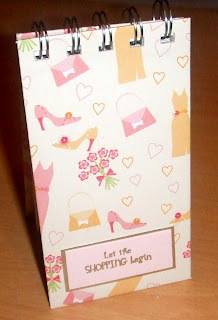 A wee shopping list book - made with the offcuts of the last one! It's amazing what you can make with scrap paper! I know thistles aren't orange!